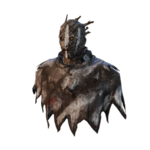 Philip Ojomo or "The Wraith" is one of 15 Killers currently featured in Dead by Daylight . 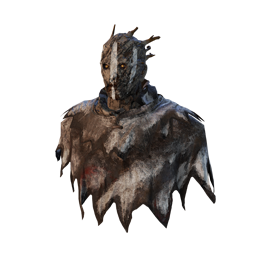 The Wraith is a stealth Killer, able to cloak and uncloak at the ringing of his Wailing Bell. His personal Perks, Predator , Bloodhound & Shadowborn , give him extra abilities to track and locate Survivors, making him a very efficient Hunter. 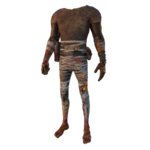 He is all about tracking and hunting Survivors, making it easier to catch and kill them. Philip Ojomo came to this country without anything than hope for a new beginning. He was happy as he got offered a job at Autohaven Wreckers. A small scrap yard where bribed cops turned a blind eye for the somewhat shady business that took place. Ojomo didn't care. He had seen criminal activity up close in his homeland and as long as he didn't get involved, he let things be. He just fixed cars and handled the crusher. Something he did really well. A car went in and a small, metallic cube came out. It was not until one gloomy day that he, just by accident, saw some blood coming from one of the un-crushed cars. As he opened the trunk he found a young man, gagged and with tied hands with panic filled eyes. 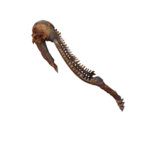 Ojomo freed the man who managed to run ten feet before Ojomo's boss stopped him and slit his throat. As Ojomo demanded answers he got explained to him that he'd been nothing more than a simple executioner as more or less every car had a soul in them as this was a "service" the scrap yard provided to certain "clients". Ojomo snapped and went ballistic. He threw his boss in the crusher and let it slowly compress, as the head stuck out, Ojomo grabbed it and pulled head and spine out of the body. Then he left and was never seen again. Once obtained, other Killers will be able to find The Wraith's Perks in their respective Bloodwebs from that point onwards. 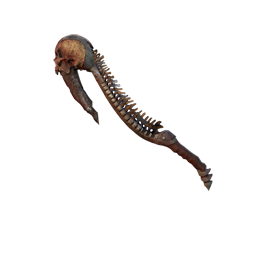 Azarov's Skull is the primary weapon of the Wraith. The teeth of death lie on Azarov's skull and spine. If he hits a survivor, the Wraith will wipe off the blood on the blades with his fingers. 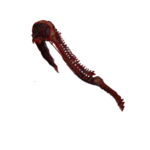 He used to wipe the blood off his arm like The Trapper with the same animation. 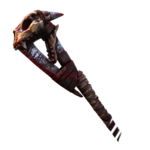 During his cloaking/uncloaking animation, the Wraith will ring his Wailing Bell with Azarov's skull. A heavy cast iron bell imbued with ancient powers. Allows the user to enter and walk the Spirit World when rung. Grants near total invisibility when moving. Total invisibility while standing still. Faster movement speed when invisible. No Terror Radius while invisible. Grants a speed burst for 1 second upon uncloaking. Exposure to bright light can burn the user out of the Spirit World. It takes 3 seconds to uncloak and 1.5 seconds to cloak by default. The Wailing Bell can be heard for up to a distance of 24 meters. 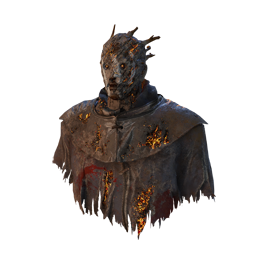 Survivors will collide with you while you're cloaked. 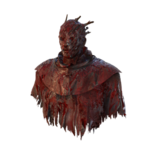 There are currently 2 Achievements related to The Wraith. 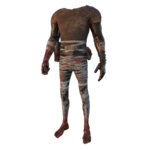 Players can customise their Character by choosing one outfit style from each category. Blood-stained attire is obtained after The Wraith reaches Level 50 and prestiges. When cloaked, Survivors only see a shimmer moving throughout the Map. 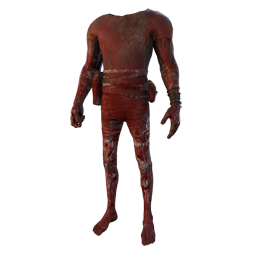 Less perceptive Survivors may not realise his proximity to them until it is too late. 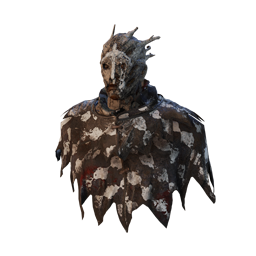 Standing still for a moment when cloaked turns him completely invisible. Keep your distance when stalking Survivors to get the jump on them. 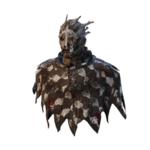 A cloaked Wraith still has collision. 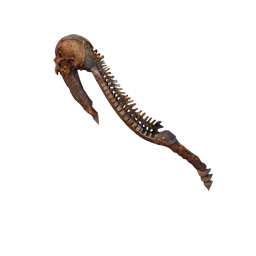 You can use this to body-block Windows and narrow escape routes while uncloaking and preparing to attack the Survivor. Beware of Flashlights! Having one shined on you when you're uncloaking or invisible can stun you, even if you aren't looking at it. 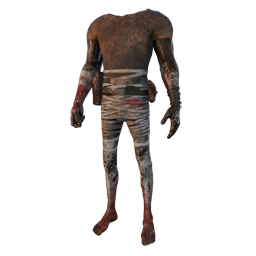 The Wailing Bell can only be heard by Survivors who are very close-by and is silent when further away. The *Woosh* sound accompanying a successful cloak/uncloak can be heard a bit farther away. 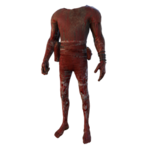 If you are chasing a Survivor and gain too much ground on you, it is a good idea to cloak and chase after them. 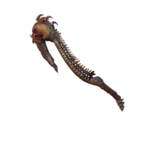 The Wraith moves considerably faster when cloaked and close distances more quickly. It also makes it harder for the fleeing Survivor to keep track of you. 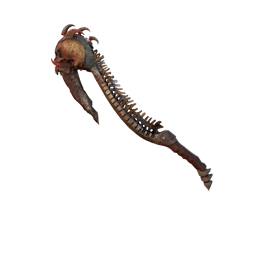 The Wraith is affiliated with the Autohaven Wreckers Realm in the Lore. 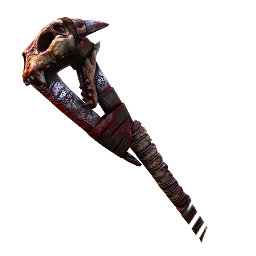 He is possibly inspired by Grim Reaper tropes as he carries a scythe, causes a Bell to toll, and can hide himself from the Survivors. The Wraith's Alpha name was "Banshee". 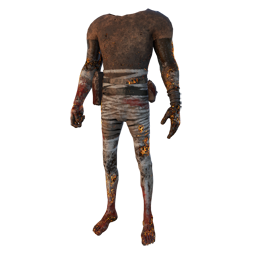 In the Game files, he is sometimes nicknamed "Bob". 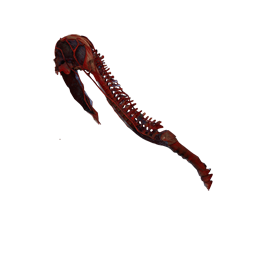 Just before the Wraith swings his Weapon, a Xylophone-like rattling noise can be heard as he lifts it above his head. The Wraith's breathing sounds like a quiet, garbled growl, as if he had a congested throat. 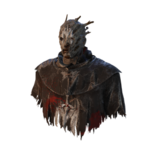 The Wraith is one of just two Killers suffering from a unique Game mechanic called Lightburn. If the cloaked Wraith is successfully lightburnt with a Flashlight , he will get stunned and be forced out of his cloak. 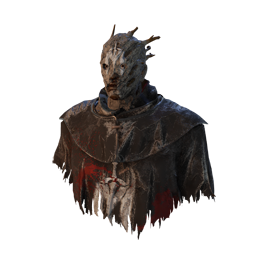 If the cloaked Wraith gets stunned by a Pallet, he will get stunned and be forced out of his cloak. 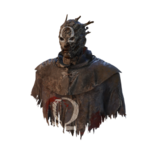 The Entity gifted him the Wailing Bell during his transition into a Killer. This page was last edited on 27 March 2019, at 18:25.